As a pastor, Samuel told many people, “Reach out to your non-Christian family and other relatives.” But he never reached out to his father. Samuel prayed to God to give him strength. He felt pain when he thought about his father, and he lacked a desire to connect with him. He kept praying — and the unexpected happened. “I was privileged to baptize my father at the age of 76,” Samuel told about 3,000 people attending a November 2017 event at his former school, Myanmar Union Adventist Seminary, to celebrate 115 years of the Adventist Church in Myanmar. Samuel still remembers what his father said after the baptism. 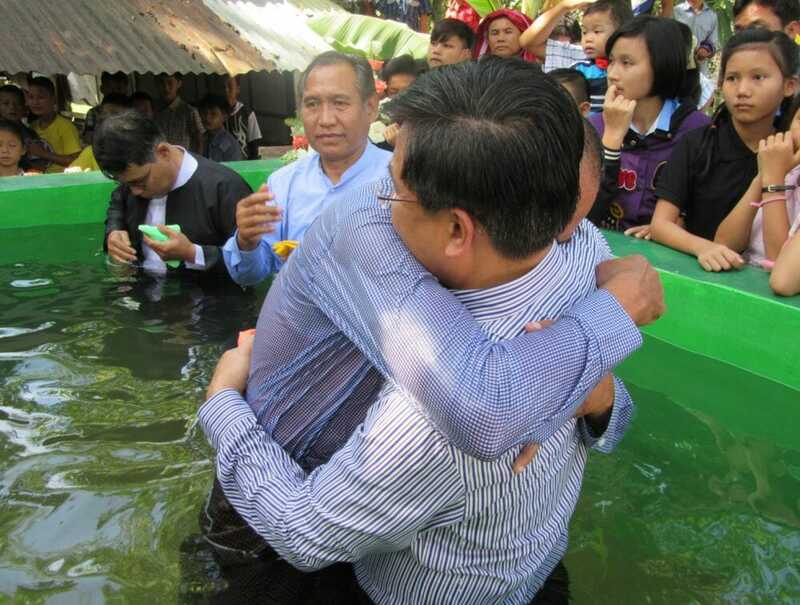 Samuel choked up on the platform as he remembered his father emerging from the water of the baptismal tank and wrapping his arms around him. “It was the first time that he hugged me in my whole life,” he said. Samuel, who was elected president of the Southern Asia-Pacific Division, whose territory of 14 countries includes Myanmar, in 2016, encouraged the audience to ask God for help in overcoming any biases and prejudices in their lives. Story originally posted on Adventist Mission.